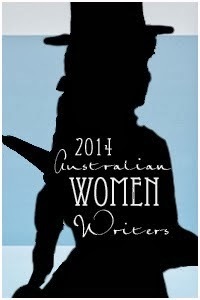 I've been watching the Australian Women Writers Challenge for several years now but never actively taken part myself. Mostly because my reading choices have nothing to do with the gender or name of the author. I don't need a challenge to read more Australian women writers; I choose the books I want to read based on their appeal, their story. But by observing the work of the many book bloggers that take part in this challenge every year, I've realised that by mere participation, more reviews are being shared online and therefore Australian novels are reaching a greater audience. A total of 1079 books were reviewed. With so many reviews written and Australian female authors in the spotlight across the internet, hopefully it's generating attention which might lead to book sales or library visits. I know that my own network of friends and family have read books based on my reviews that they otherwise wouldn't have come across. It is widely known that many readers predominantly read male authors, while my own split is 41% female and 59% male. I've also read that more male authors are published than female authors, causing some women to write under a nom de plume. While I don't necessarily believe the gender split should be exactly 50/50 (life just isn't like that), I do believe the best novels should be published (regardless of gender) and readers should choose the books they want to read from the titles available. By the same token, I'm a proud and active supporter of Australian writers and have been participating in the Aussie Author Reading Challenge for a number of years now. It is with all of these thoughts and motivations in mind that I've decided to join the 2014 AWW Reading Challenge. Why? To share my reviews, show my support for Australian women writers and to contribute to the increasing influence of AWW and be part of the change taking place. If you'd like to join in and participate or find out more about the reading challenge, click here. You don't need a blog to participate either! Thanks Shelleyrae, looking forward to it. Late saying it, but welcome to the challenge. My initial thoughts on the challenge weren't that I need to be reading more female authors, but the challenge has definitely made a big difference in my reading of Australian authors! A huge difference!